"The piano made the wedding reception room look absolutely magical! The sound was perfect! The organisation and delivery was also streamline! Thank you so much for making everything fantastic!" "Thank you so much to the whole team for the gorgeous piano, I loved it! It played beautifully :) Both the delivery and pickup went seamlessly; all I really had to do was pack the piano up and enjoy it while I had it in my possession!" "I recently returned to the UK, and my packing took over two months to arrive. I was delighted to find RDP , Marek responded to my need for a piano promptly, politely and efficiently. He provides an excellent serviced and I cannot recomment RDP/Marek highly enough. If you need to hire a piano - call him first. Malcolm ( Derby)"
"I have rent for one 1 year a digital piano, the piano was working perfectly and their customer service was outstanding in facts and not in words always kind and collaborative. For me is the best I really reccomand it." "I rented a piano just for a month, which saved my daughter lugging her electronic piano back from university. It was in great condition and she was really happy with it. Communications with rentadigitalpiano were straightforward, personable and prompt, completely hassle-free. I collected as we live within driving distance of the music shop in Watford and it was ready and nicely boxed up. They even carried it to the car for me. I will definitely use this service again." "We rented a piano from RDP for a few months while we were living in London. The experience was great! Communication was easy and we always received a prompt response to any questions. The delivery and return of the piano were smooth and simple. The piano we rented was of a good quality and my daughter really enjoyed playing it. Thank you!" 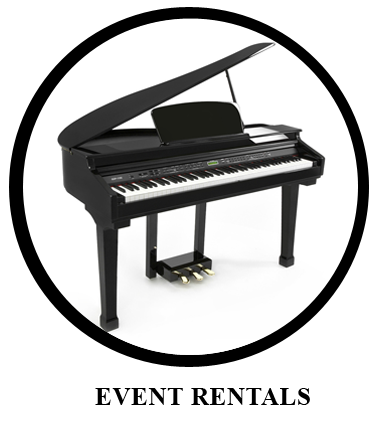 "Excellent service, a pleasure to deal with and a fantastic piano. Highly recommended!" "I've been a customer for over a year and a half while I was studying in London. The service is incredible, the response from the store is speedy and very helpful! Mr. Marek is very enthusiastic and is highly passionate about music, his recommendations for pianos to rent has been excellent and exactly what I needed. I was very impressed by the service when he came and dropped off the piano himself the first time! He also made sure the piano was delivered and picked up whenever it was convenient for me. As a student, it was very affordable. It would've surely been difficult without a piano during my stay in London and am very thankful to rent a digital piano for their services. I would highly recommend the store as it was a great experience! Thanks Marek!" "Amazing service and excellent price .. will definitely be hiring a piano from here everytime I'll be in London"
"A really great service at an unbelievable price. They were always quick to respond to any questions and were really helpful throughout the whole process. The piano that I rented was just what I needed, and it was great to have the flexibility to keep it longer. I would highly recommend RDP, and I didn't find anywhere that came close to their price or service when I was looking. Thanks RDP!" "Fantastic customer proposition and excellent service. The business oozes a passion for music which is truly contagious." "Rent a Digital Piano has been a lifeline I couldn't of done without. I rented a piano for 14months due to not being able to afford a brand new piano. The sign up process was so simple to do. A great choice of pianos are available for students like myself. Delivery was really quick after paying the first payment. Through out the rental period numerous financial problems came up and the company was very understanding. Their love of music and there goal of giving people the chance to play piano shows greatly. Payments were moulded around my circumstances because we all know that times get hard. I recommend this service for anyone who either wants to try to learn or knows how to play. I completed the first year of my degree using there piano. Thank you very much for a great, honest, simple experience. All the best for the future!" "I originally only intended on hiring the Roland Keyboard for a few weeks to do some late night practice on however I was so impressed with it I ended up keeping it for almost 11 months! Renta-digital-piano where happy to extend the hire period for me which is testimony to their excellent service. The idea of renting digital pianos is unique and extremely useful and intend on using this service again some time later this year." "very friendly service, I can highly recommend hiring a piano, especially if you need to find out if your child enjoys the instrument. thank you." 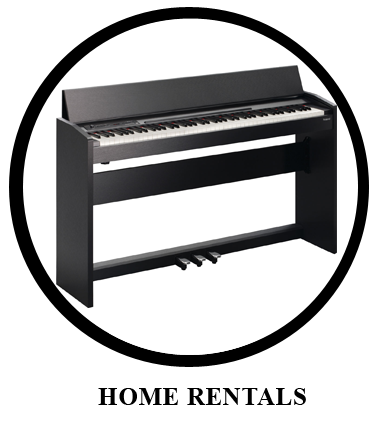 "Rent a Digital piano is a brilliant idea and provides a top class service. The piano was delivered almost immediately and it was exactly what I wanted. Marek is efficient, friendly and genuine. I would have no hesitation in recommending his services." "I am in London for 3 months on a training course, and since I am a beginner in piano, yet taking it very seriously, I just wanted to rent a piano to keep the momentum. I searched through every possible company available, and non of these companies allow short-let rental of digital or non digital pianos. And the companies which did actually avail short-let option charge tremendous delivery fees amounting to GBP 500/--700/-!! Until I came across Rent a digital Piano, not only the customer service is excellent (as owner has delivered piano himself due to fact that I am away from home the entire day for my training course), but also the piano is amazing, I never liked the idea of digital pianos before, but they actually do really fulfill the job required. I managed to practice almost daily without disturbing my neighbors (using headphones late at night)...I am really happy with the piano, the service and last but not least the fees, only GBP 40 per month!! I still cannot believe it! I was lucky I guess! Thank you Mr. Marek!..Definitely your company is the best in London!" "Speedy service, great piano. No problems whatsoever. Chris." "My family moved to London for 6 months. We wanted to hire a piano so our son could keep learning and Rent a Digital Piano was the perfect fit. The price was right. The service was excellent. The piano was as advertised. I would recommend Rent a Digital Piano to anyone looking for a short term hire." I found rentadigitalpiano.co.uk during a short trip to London. My needs were finding a piano to practice during 2 weeks to prepare a concert I had at my return to Spain. In my research I found only two ways to solve the situation: Long-term piano rental or expensive practice room hours, besides buying a new instrument. What rentadigitalpiano does is filing that gap in the middle that nobody else was offering: rent an instrument only for the time you need it, with a really accessible system, freedom to choose when you want to finish the rental and pretty unbeatable prices. They have a wide range of pianos: from the beginners model to the ones oriented for more demanding musicians that need an instrument as close to the acoustic piano as possible. Totally recommended for students that are beginning their exploration of the piano, as a previous step to buying an acoustic instrument. On top of that their customer service helped me to find the piano that best suited my needs and delivered it in a really short time, suited with a piano bench and headphones, ready to practice!!!. Very happy with their service, I will surely use it again in my next visit to London. "The piano was very good and convenient,and the service was exceptional in the delivery date.After 6 months of playing I don't have any complain.It's a good value for a very good product and a good service."